It was about a month ago that I trumpeted my recovery from illness, and calmly assured all I knew that I was back on track. Yeah, about that. I did try. I saw about five shows in quick succession, trying to catch up. I even managed to get one written up. But I had more to struggle with than I told myself. That pause button went back on, whether I wished it to or not. Some of what I was dealing with was resurfacing grief, added to by another loss. Some was a slower-than-expected recovery from pneumonia – an exhaustion I just could not kick. And then there were some interesting body-chemistry things, which led to sleeplessness and the like. I don’t have to bore you with all the details, but suffice it to say I wasn’t as well as I thought I was. And every time I tried to write about theater, or write poetry, or otherwise exercise that particular part of my brain it just shut down. I know that this sounds like I am whining: oh, poor pitiful me. Believe me, I hear that too. I am not, under normal circumstances, a person who a) fusses about her health, or b) leaves obligations unfulfilled. As you may imagine, this has been very frustrating. I saw interesting theater and would have loved to share. At this point, I’d like to at least reflect on what I saw now, even if it’s too late for reviews. 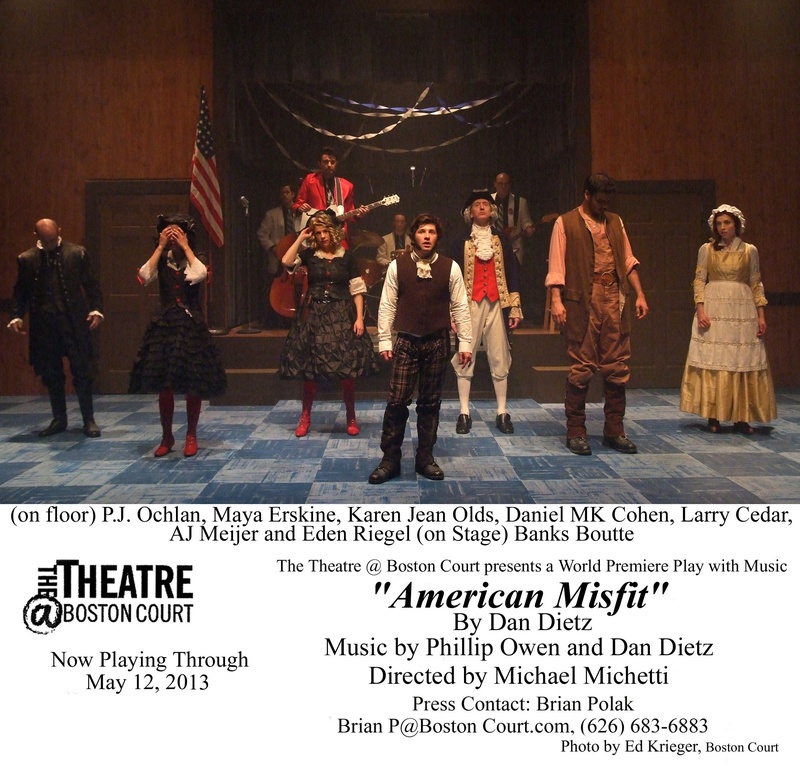 At The Theatre at Boston Court in Pasadena, Dan Dietz and Phillip Owen’s oddly fascinating musical “American Misfits” examined the true story of the U.S.’s first serial killer – a man named Harpe whose vendetta against the revolution turned into a pathology, dragging with it his brother and a pair of crazed sisters encountered along the way. What was most fascinating about the authors’ and director Michael Michetti’s vision was the lighthearted approach to this macabre material. This involved, among other things, emphasizing rockabilly music as an element of the setting, choreographer Lee Martino’s contained, yet wild dance numbers, and (of course) Heather Ho’s “puppets.” These represented Harpe’s many, many victims. They were made of burlap with Velcro closings which allowed them to be eviscerated in a colorful but distinctly representational way, thus letting the story not to be overwhelmed by the essentially icky nature of the tale being told. It also allowed the humor necessary for the larger examination of the American ethos, which was the real point of the piece. 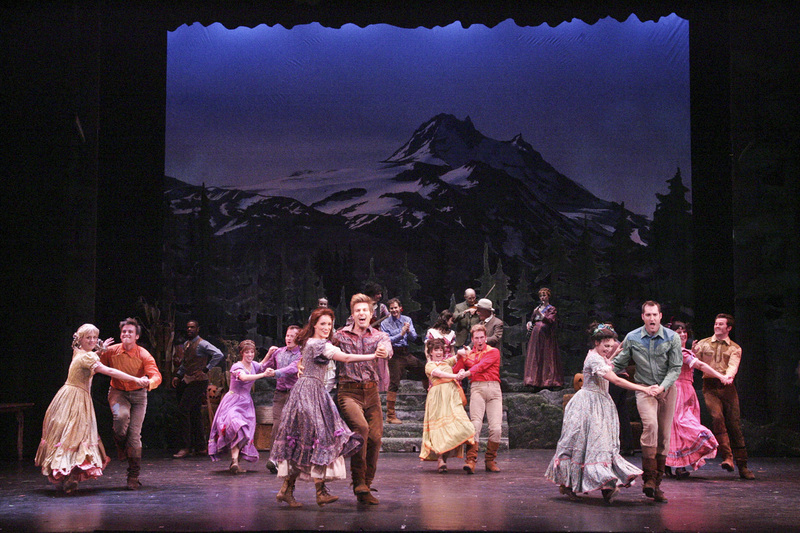 Then, an equally musical but far more standard fare was the truly charming “Seven Brides for Seven Brothers” at La Mirada Theatre for the Performing Arts, courtesy of McCoy Rigby Entertainment’s series there. Under the leadership of Glenn Casale, this piece was far less chauvinistic than some versions. 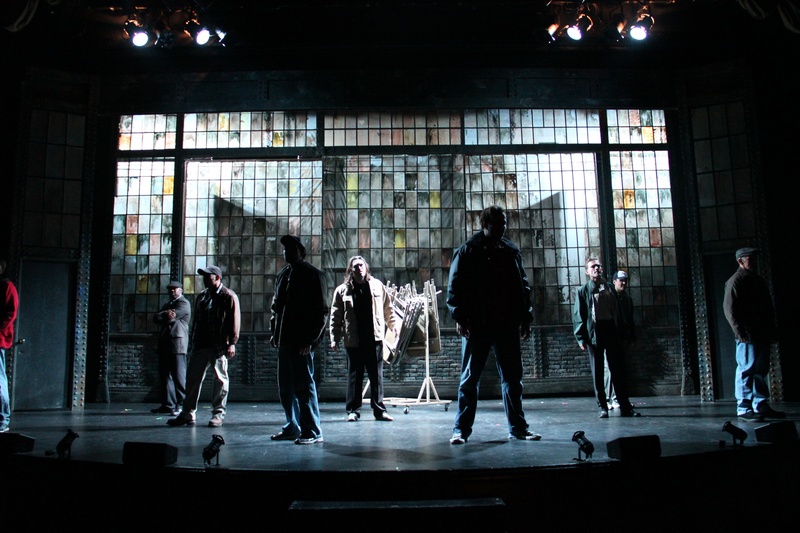 Dennis Castellano’s choreography kept just enough of the film choreography, but wasn’t afraid to depart from it either. It was energetic, charming, tightly paced, appropriately visceral, and well worth watching. Highlights included Kevin Earley’s obtuse elder brother Adam, and Beth Malone as the practical romantic who marries him, but everyone was having a ball, including the audience. It’s always good to see something which has been considered kind of a dinosaur resurrected so effectively. Out at Southern California’s last remaining dinner theater, The Candlelight Pavilion in Claremont, they brought back “The Full Monty,” which had been such a hit for them in 2009. What they had discovered then still seemed to hold true: women were entertained by the rather titillating concept, but men were fascinating to discover a show which spoke to their own insecurities. Louis Pardo had a few diction problems, but was still strong as Jerry, the unemployed steel worker desperate to make enough money to keep partial custody of his kid. As his friend, and the least likely male stripper in the group Jerry gathers to perform for a single night, Sheldon Robert Morley managed to portray all the emotional aches and body image insecurities men such as these pretend not to have. It was touching, it was funny, and it was well done. Last, but anything-but-least, Phylicia Rashad’s vibrant production of August Wilson’s classic “Joe Turner’s Come and Gone” at the Mark Taper Forum was a wonder and a delight. With its luscious mix of hope, grit, laughter and the ethereal it created a space redolent with the joy of being alive. 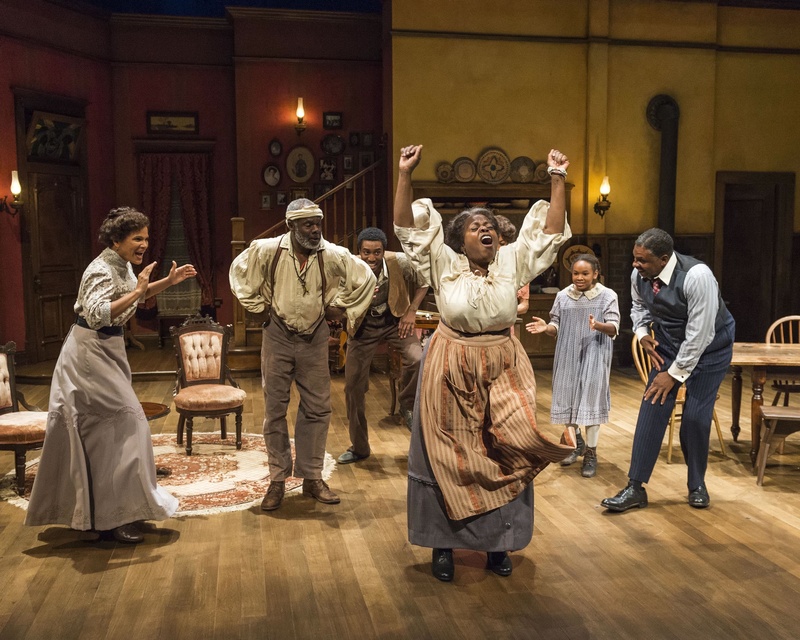 From Lillias White’s practical cook, to Keith David’s stalwart boarding house operator, through the rest of a stunning cast all the way to young Skye Barrett and Nathaniel James Potvin as youngsters on the verge of adventure, the cast proved deep and brilliant and fun. Wilson’s epic series of plays teaches everyone so much, and each time they are produced more can be learned. What a satisfying evening. Which makes it all the more frustrating to not have the “stuff” to share them with you in a timely fashion. Well, I really am better now. I hope to move forward in better health, more “together,” and more aware of my own limitations. I’m back on the horse, and ready to ride. This time I’ll try not to fall out of the saddle.